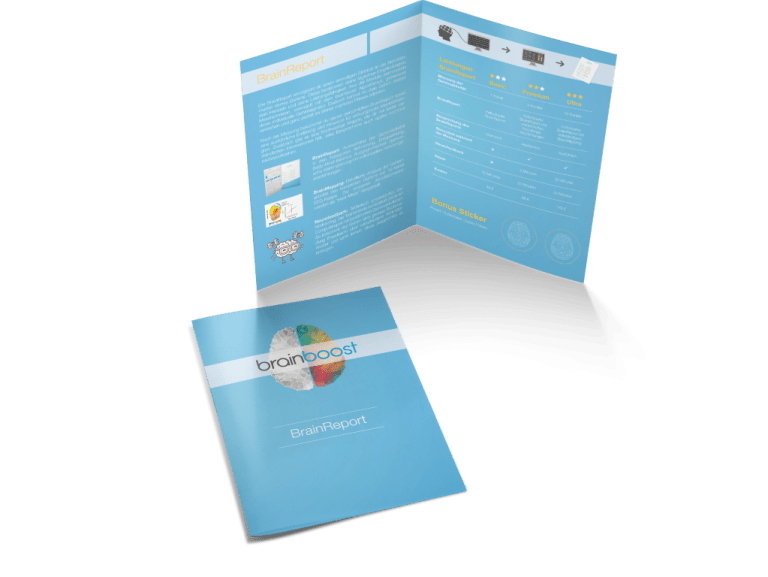 The BrainReport gives you a unique insight into the activity patterns of your brain. These determine your daily sensations, your actions and your performance. 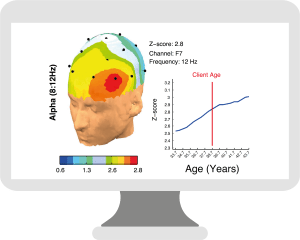 Medical measurement techniques, combined with the brainboost algorithm, generate your individual brain signature. 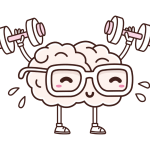 This enables you to understand your brain better and to work on your mental fitness in a targeted way. 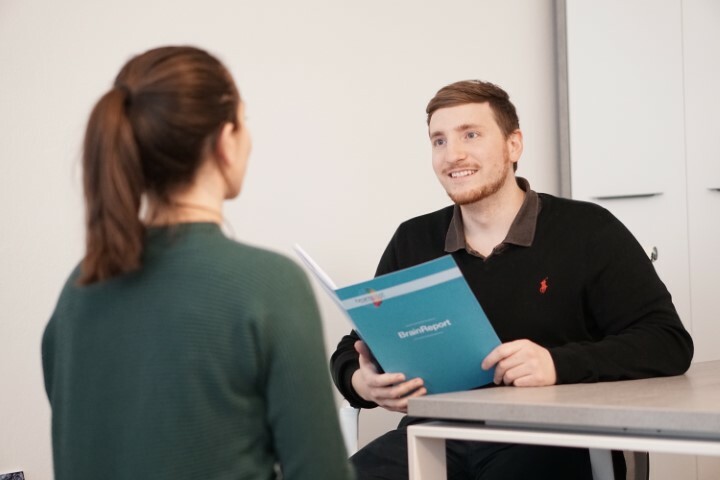 After the measurement you will receive your personal BrainReport as well as a detailed explanation and tips for effective mental strategies. In addition, there is a high-quality folder, which helps you to understand everything we have discussed. 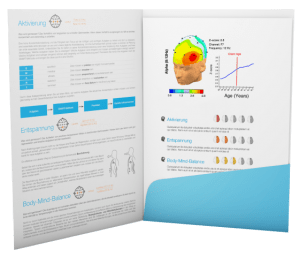 Evaluation of brain activity in areas such as activation, relaxation, body-mind-balance, balance, sensory perception with individual recommendations. 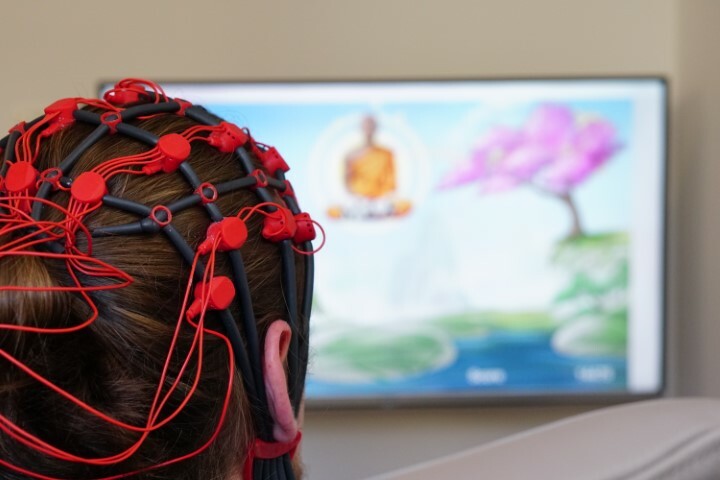 Detailed analysis of the brain activity of the complete brain with 19-channel EEG cap. 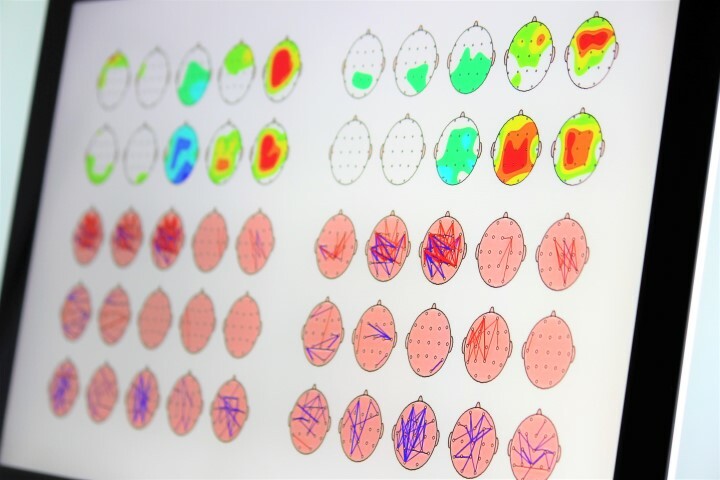 The individual activity patterns are displayed as heat maps. For example, the trainee controls a PC game with certain brain activities. The brain gets an exact feedback about different activity patterns and learns to generate them purposefully.